A few days ago this article from Dan Woog, columnist for The Westport News, was published. I think he did a great job, and even added the archival montage of b&w photos. Hope you like it! 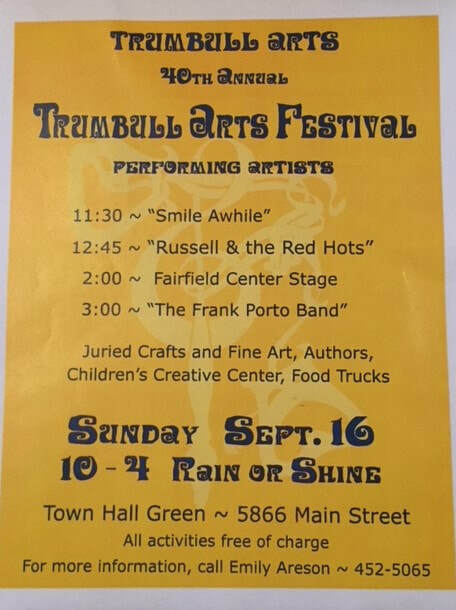 On Sunday, Sept. 16 we will again have a tent at the Trumbull Arts Festival. 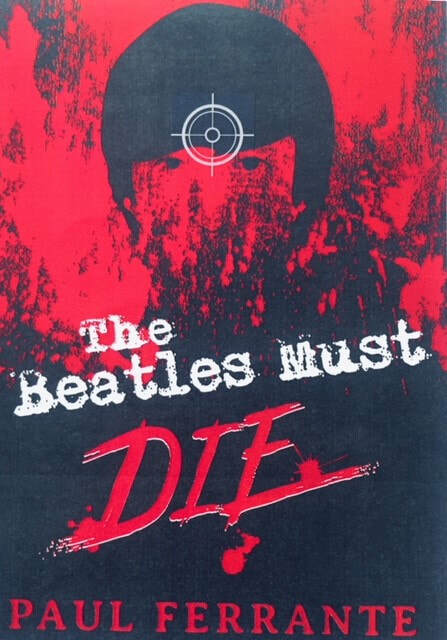 All the books of the T.J. Jackson Mysteries series will be available for sale and signing, as well as The Rovers: A Tale of Fenway and our newest novel, The Beatles Must Die. Hope to see you there...the weather forecast is promising! The Beatles Have Arrived on Amazon! TheCreativeBarn.com, and stay tuned for our release announcement! We are happy to announce our first speaking engagement and book signing of the year on Monday, March 12 at The Fairfield Kiwanis Club's monthly event. It will be held at the Gaelic Club of Fairfield. We are looking forward to meeting the club members and sharing our favorite T.J. Jackson stories! 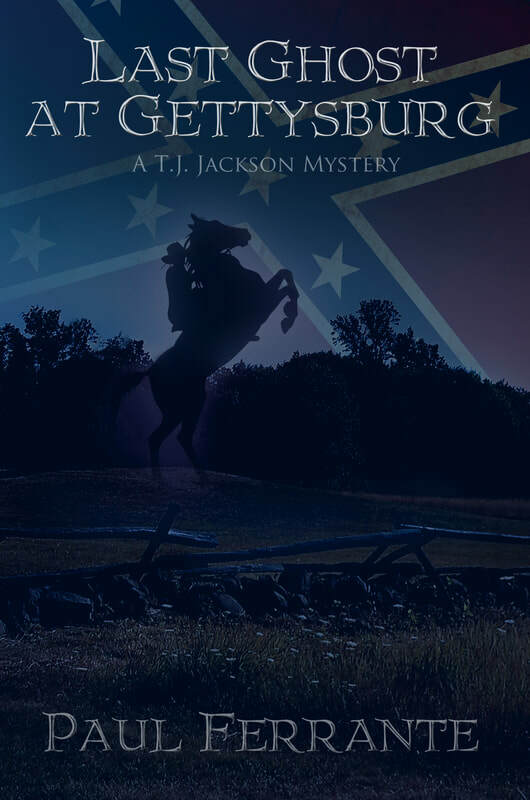 This will be a busy week for the T.J. Jackson Mysteries as Halloween approaches. On Thursday, October 26 we will be appearing in Fairfield at the Bigelow Center for Senior Activities on Mona Drive to discuss T.J.'s latest adventure, The Voodoo Cult's Treasure. The event begins at 5:30pm, when a light dinner will be served, with the book talk commencing at 6:30pm. Of course, there will be copies of the book for signing and sale. To register, please contact the Center at 203-256-3166 between the hours of 9am-3:30pm. We hope to see you there. Fall 2017 Schedule is Set! We are pleased to announce our Fall 2017 dates for the T.J. Jackson Mysteries tour. 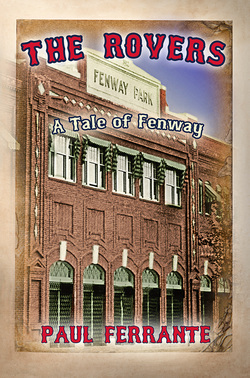 All 5 of the books, as well as The Rovers: A Tale of Fenway (Adult) will be available for sale and signing. We hope to see you at one of these events. 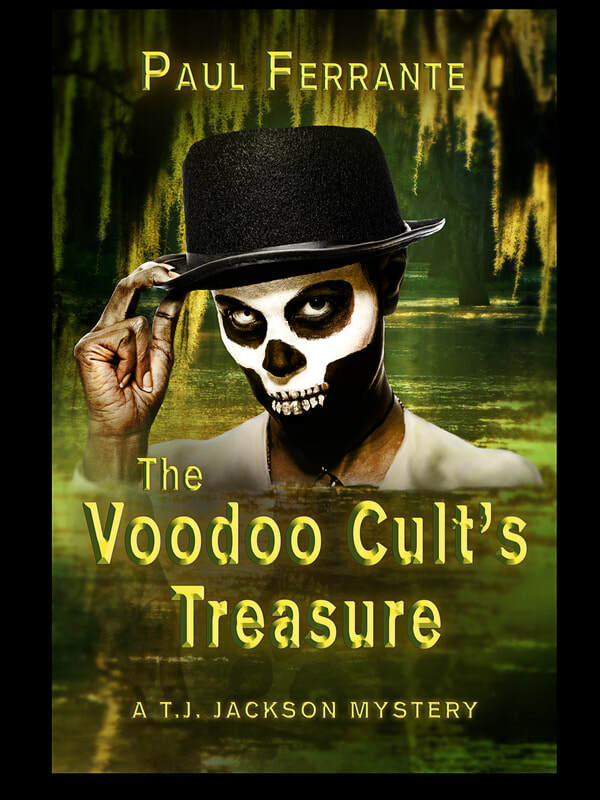 We are happy to unveil the cover of our new book, number five in the T.J. Jackson Mysteries series: The Voodoo Cult's Treasure! I think you'll agree that artist Stephanie Bibb has done a great job in realizing the vision I had for this cover. Right now we are looking at an early September release, so stay tuned. Let the good times roll! 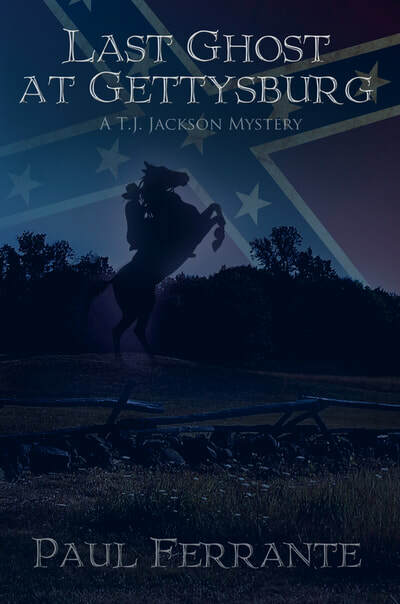 Announcing the new T.J. Jackson Mystery! 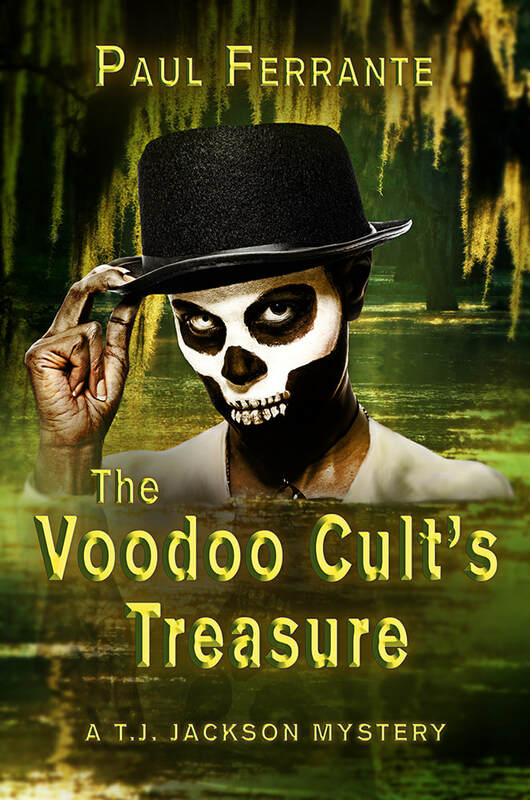 In honor of Mardi Gras, we are making the official announcement of the fifth T.J. Jackson Mystery: The Voodoo Cult's Treasure, which will be available this summer. We've prepared a blurb and some photos pertaining to the plot, and where the gang will be visiting during the story. Enjoy! After a disastrous run-in with a vindictive 1600s witch leaves him wanting to ditch his ghost hunting career forever, T.J. Jackson and his mates are drawn back into the paranormal world to investigate the mysterious disappearance of their friend and mentor, Mike Weinstein, in the Voodoo Capital of America: New Orleans. 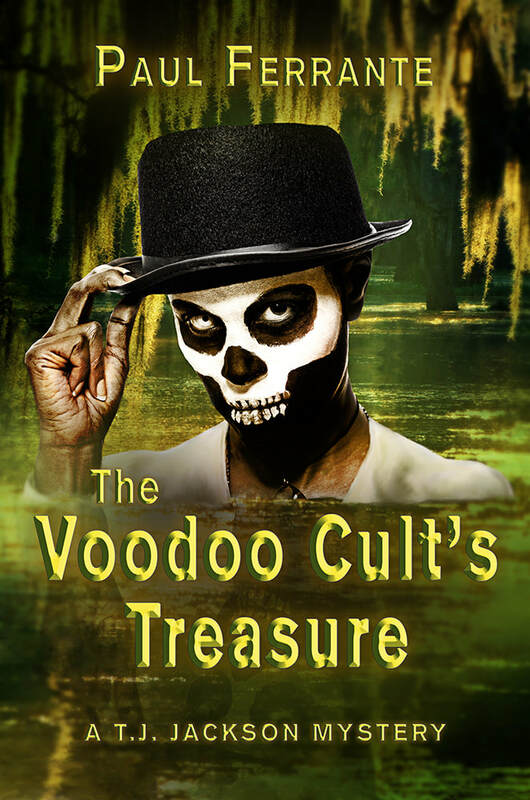 Along the way, T.J., Bortnicker and LouAnne — with an assist from their Bermudian friend Ronnie Goodwin — must explore the strange world of New Orleans Voodoo, as well as the crazy gumbo of cultures that make Southern Louisiana a place like no other. 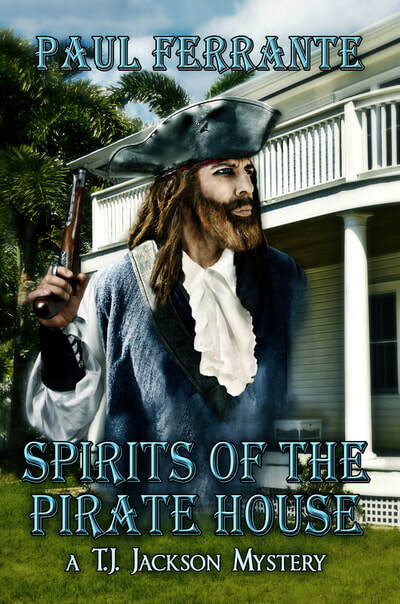 Their quest will take them from the bright lights of Bourbon Street to the steamy backwaters of the bayou, and test their courage at every turn. It looks like this trip to NOLA will provide the Junior Gonzo Ghost Chasers with their most dangerous case yet! ​Holiday Spirit at Barnes & Noble! We will be making our last appearance for 2016 on Friday, December 9th from 4-8PM at the Westport Barnes & Noble, 1076 Post Road E., Westport, CT. Copies of all 4 T.J. Jackson Mysteries, as well as our adult novel The Rovers: A Tale of Fenway, will be available for signing. Hope to see you there for this fun event. Our Fall Schedule is Set! ​Hope to see you at one of these events! T.J. and The Rovers in Trumbull this Sunday! I am excited to announce that we will again have a tent at the Trumbull Arts Festival on the Village Green in Trumbull, CT this Sunday, Sept. 11, from 10AM-4PM. 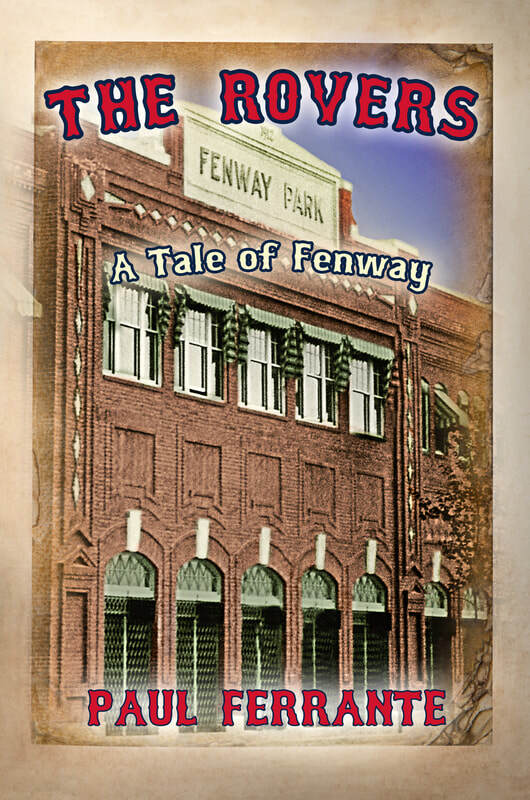 All four of the T.J. Jackson Mysteries, as well as The Rovers: A Tale of Fenway​ (adult) will be available for sale and signing. The festival is always fun, with lots of great booths, food, and activities for children, so we hope to see you there! We will be making our second appearance at the Bigelow Center on Thursday, June 23 for a presentation on The Rovers: A Tale of Fenway. A light supper will be served for $5 at 6PM, with the program beginning at 6:30PM. Call 203-256-3166 to reserve your seat. Books will be available for purchase and signing. We thank the folks at the Bigelow Center for inviting us back and hope to see you all on the 23rd! The Rovers in The Hall! We are thrilled to announce that our new adult novel, The Rovers: A Tale of Fenway, will be sold at the National Baseball Hall of Fame in Cooperstown, where it will join Roberto's Return: A T.J. Jackson Mystery on the bookstore's shelves. To have even one book chosen by The Hall is an honor... so this is an all-star doubleheader! Many thanks to President Jeff Idelson and the Museum staff for their support. One true harbinger of spring is the beginning of another baseball season. And so, what better way to usher in the 2016 season than with a baseball book? We are proud to announce that the release of our first adult novel, The Rovers: A Tale of Fenway (Melange Books) will coincide with Opening Day. This is a project I've been working on for a long time, way before and in between my T.J. Jackson Mysteries. Briefly, it was first presented as a lengthy short story, a Valentine's Day gift to my lovely wife Maria back in the early 90s. Its 2016 publication finds The Rovers somewhere between a novella and a full-length novel, with fast-paced, intertwined dual plots that involve Irish history and baseball. Below you will see a plot "teaser" for the book. Right now we're looking into a possible launch event and other related appearances, so stay tuned and Play Ball! Teddy Clancy, prodigal son of the Clancy clan, returns to the medieval town of Cashel after a tumultuous stay in America to find his life at a crossroads. The only thing keeping him sane on the dreary family farm is an unquestioned admiration from his teenaged nephew Martin, who chafes under the rule of his domineering father. Thus begins the saga of the Clancy men, whose desire to break free from the yoke of tradition takes them in completely different directions: Teddy, to Dublin, where he becomes entangled in one of the most audacious crimes in Ireland’s history; and Martin, to an improbable tryout with the Boston Red Sox at Fenway Park. In the process, the mettle of both men will be put to the test, and they will have to weigh the depth of their conviction against their dreams of greatness. Theirs is a tale of love and lust, truth and deception, history and fantasy, damnation and redemption – and Baseball. We are happy to announce that our first speaking engagement and book signing of 2016 will be this Friday, February 19, at The Baldwin Center in Stratford, CT at 10AM. The subject will be my baseball writings, both at Sports Collectors Digest and in the novel Roberto's Return. We will also be giving a sneak preview of our next project, whose formal announcement will be coming shortly. This is perfect timing, as MLB pitchers and catchers will be reporting to Spring Training that same day! 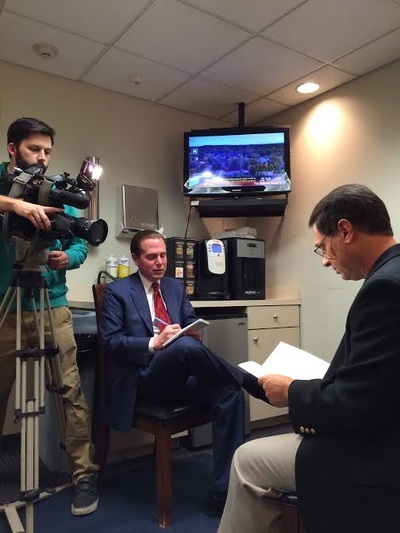 Today I had the pleasure of sitting down for an interview with Frank Recchia of News Channel 12 Connecticut for a feature that ran all day on their newscasts and provided great publicity for the T.J. Jackson Mysteries series. This officially kicks off two weeks of craziness in which we will be making numerous appearances. Thanks to Mr. Recchia for doing a first class job. When we get the link we will post the feature. Witch Hysteria Sweeps Fairfield County! ​We hope to see you there. Happy Halloween from T.J. and the gang! On Saturday. September 26, the American Association of University Women included us in a panel of Author speakers for their annual luncheon at the United Congregational Church in Bridgeport, CT. We were honored to speak along side some great authors and spread the word about the T.J. Jackson Mysteries series. We met some wonderful people and had one of our biggest sales days on record. Thanks to our friend Louise MacCormack for the invitation! Very shortly we will post our schedule for October, which is shaping up to be our busiest month ever! year's festival who came back seeking the latest book. What a great day! Thanks to my agent, aka Maria, for manning the tent for the first hour while I attended the awards ceremony for the Trumbull Literary Competition, where a bunch of my students were winners. Next up, September 26 at the United Congregational Church in Bridgeport from 11am-2pm for an author talk and book signing. 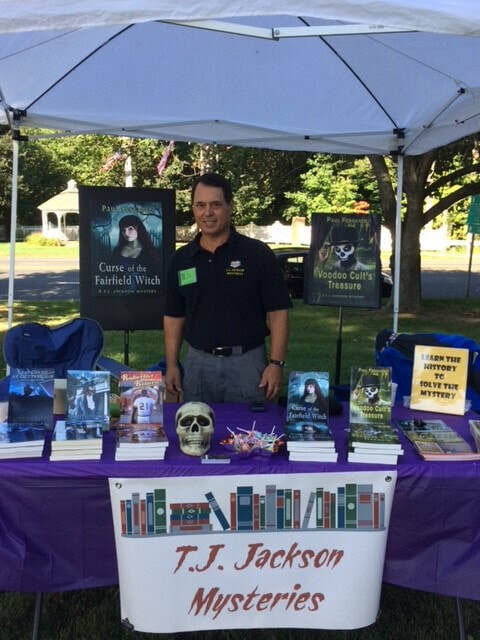 We are pleased to announce that the T.J. Jackson Mysteries will again have a tent at the Trumbull Arts Festival this Sunday, September 13 on the Town Hall Green, 5866 Main Street in Trumbull from 10am-4pm (rain or shine). All books from the series will be available for signing. I'm also proud to announce that four of my students will be receiving awards in the Trumbull Arts Festival writing contest in a ceremony at the Trumbull Library that morning. Hope to see you there! Check out this link for a great review about our favorite witch! Special thanks to Sue McCann for coordinating the write-up. This past Saturday was our second appearance at HobbyTown USA in Fairfield. Despite the gorgeous weather, we were happy to see new T.J. fans and make some valuable connections for the future. Special thanks to Marc and Andrea Rosenblum for inviting us back, and we look forward to our next visit. In the meantime, you can find all four of the T.J. Jackson Mysteries in their book section! Gearing up for Saturday at HobbyTown USA! 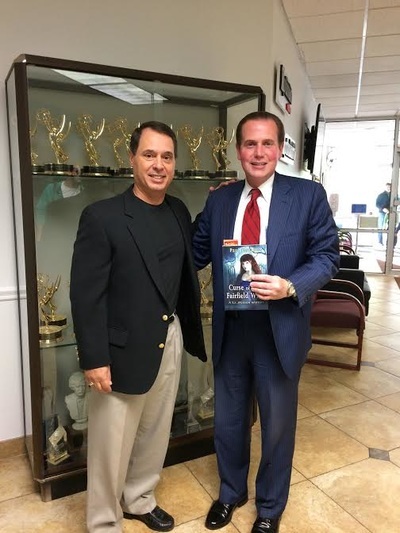 This Saturday the T.J. Jackson Mystery Tour will be at HobbyTown USA at 847 Post Road in the Bob's Shopping Center in Fairfield from 11AM to 2 PM. 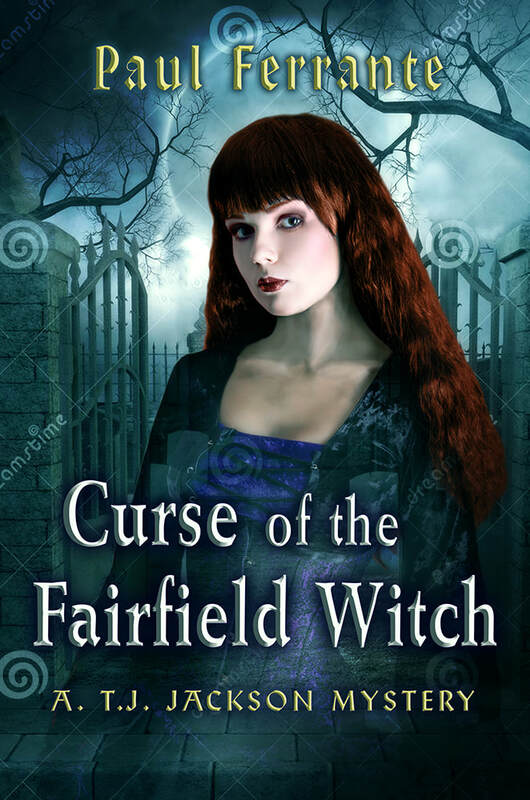 Copies of Curse of the Fairfield Witch (whose plot events mostly take place a couple blocks away) will be available for purchase and signing, as will the first 3 books in the series. Special thanks to manager Celeste Vanderlip, and owners Marc and Andrea Rosenblum, who have opened a book section in the store, for inviting us. Actually, our first T.J. signing event EVER was held here, for Last Ghost at Gettysburg. Mark and Andrea have been there from the start! So please stop in, buy some books, and check out their incredible inventory of hobby items. If it's something that's fun, you'll find it at HobbyTown USA! Here is our preliminary schedule of dates for the latest T.J. book tour. We will publish more details on each event as they draw near. Some dates may be added, so keep checking in! 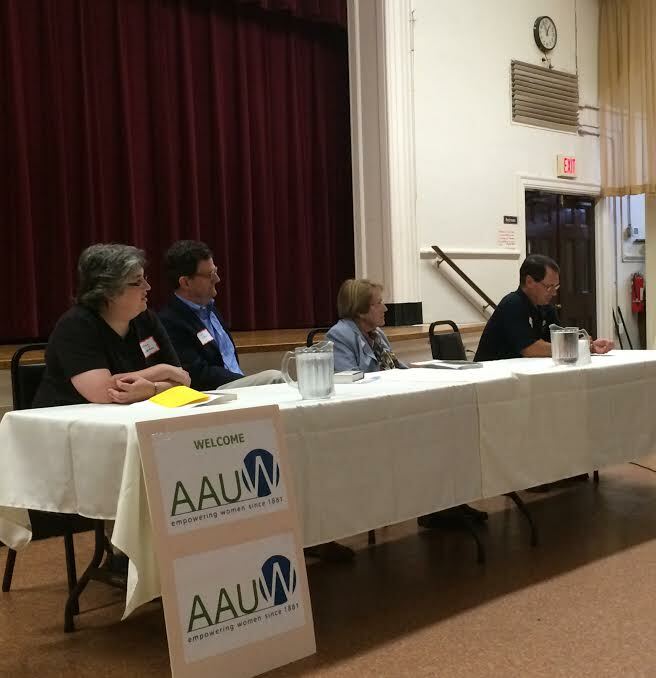 Our author talk and book signing on June 28th at Avellino's Restaurant in Fairfield was a tremendous event. Not only did we set a new record for sales, we were able to connect with many new T.J. Jackson fans. Thanks to everyone who came out, and especially Avellino's owner Peter Del Franco and his family for hosting the event. We hope you enjoy the slideshow, and we'll keep you posted on further events in the upcoming months for Curse of the Fairfield Witch. 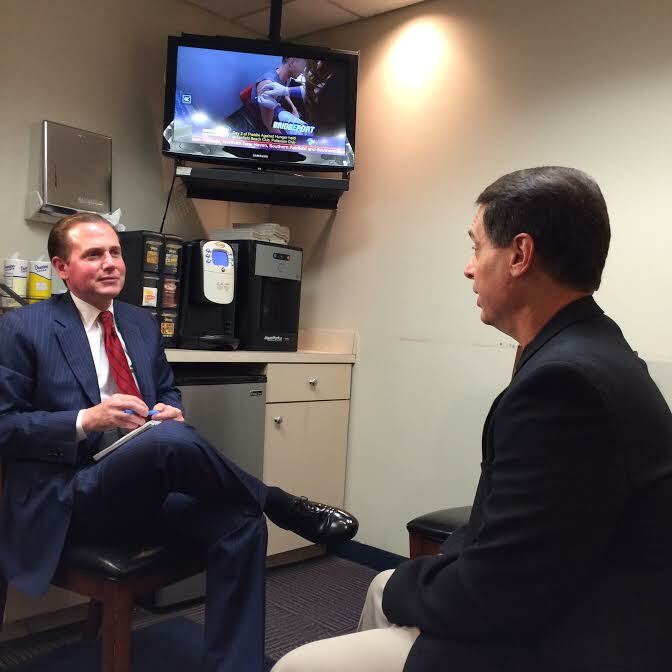 If this day was any indication, great times are ahead for the T.J. Jackson Mysteries! 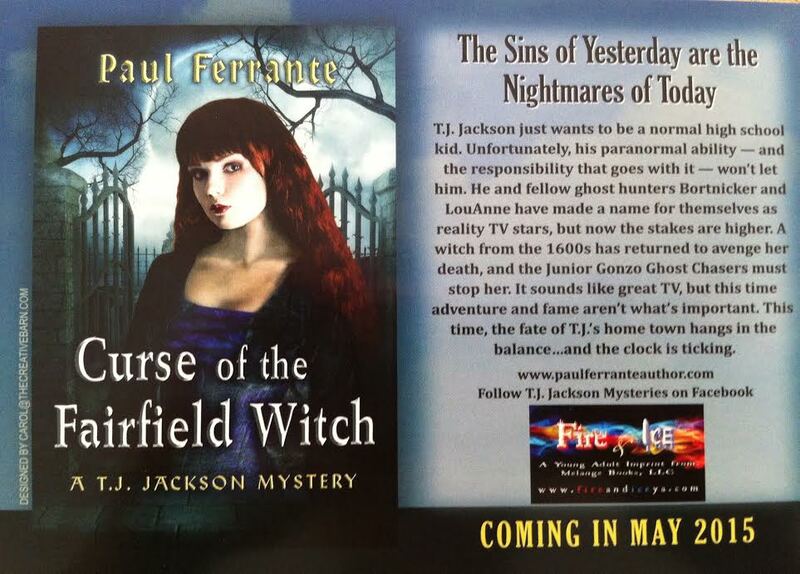 More Publicity for Curse of the Fairfield Witch! As we count down to Sunday's official book launch, we were excited to see this recent interview in the Books, Ink. section of the Westport HamletHub, written by Sally Allen. Hope you enjoy it! Check out this story by Mike Lauterborn on Curse of the Fairfield Witch. Hopefully, it's the first of many! Just received our batch of promo cards for the new T.J. Jackson book. Designed by Carol Young (Carol@thecreativebarn.com), my talented sister. Check out her website to see her wide range of paintings and other products. You'll be blown away. Expect a T.J. update when the book becomes available for sale! T.J. is on the Way in May! ﻿We're happy to announce that the Baseball Hall of Fame in Cooperstown will be continuing their relationship with Roberto's Return for another year. It has been doing well, and we look forward to another home run in 2015! A Great Review from Read Around Sue! We'll be at the Westport Barnes and Noble Saturday, December 6th! 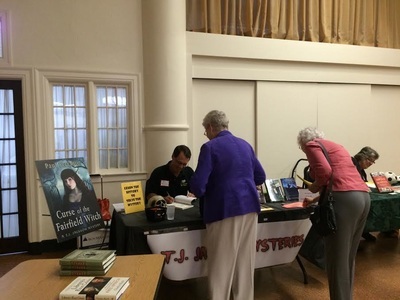 I'm happy to announce that the T.J. Jackson Mysteries will have a table at the Trumbull Arts Festival on Sunday, September 14th from 12 to 4 PM. All 3 books in the series will be available for sale, and I will be happy to sign them as well. This is one of the great local festivals in Connecticut every year and we are appreciative for the invitation. Special thanks to Emily Areson, who does a great job putting together this event. Hope to see you there! I appeared at the Baseball Hall of Fame in Cooperstown on August 7th for a presentation and book signing as part of their Summer Author Series, which took place in the Bullpen Theater at 2 PM. It was a great day for me and for the T.J. Jackson Mysteries. My thanks to the Hall of Fame for the invitation! 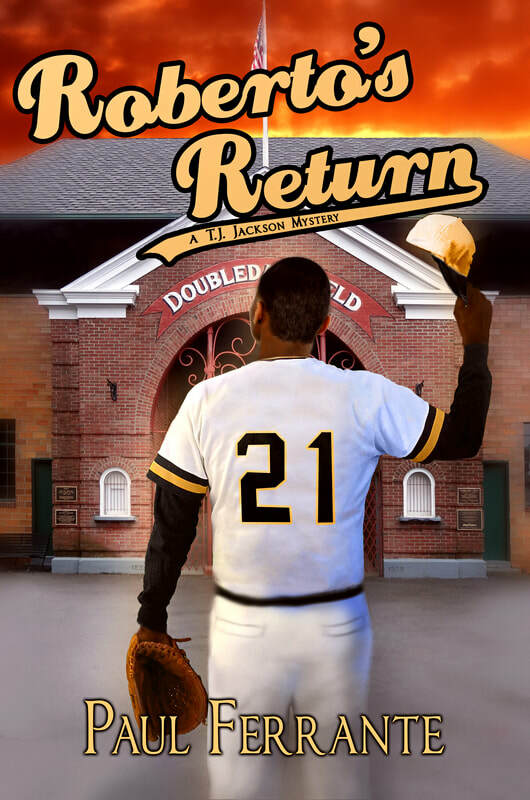 Book three of the T.J. Jackson Mysteries series, Roberto's Return, was published in April 2014! Thanks to everyone who has supported T.J. Jackson Mysteries on Facebook. Find Roberto's Return for Kindle HERE on Amazon. Find all the other T.J. Jackson Mysteries HERE.